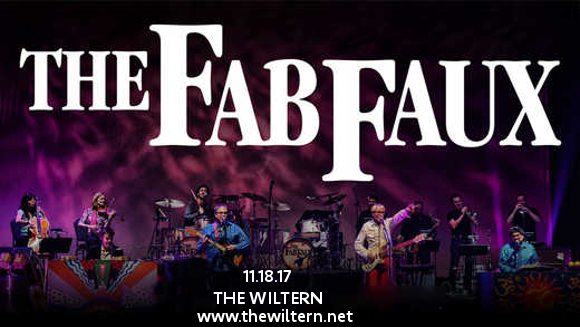 The Wiltern brings you the cream of the crop in quality live entertainment with the best Beatles tribute act in town: The Fab Faux!! Described by Rolling Stone as “ "The greatest Beatles cover band,” they’re coming to wow the audience on Saturday 18th November 2017! A show that will undoubtedly leave you wanting more, The Fab Faux will be the highlight of any Beatles fan’s year! Tickets selling fast – grab ‘em now before they’re gone!! Named after the “Fab Four” (a name commonly given to the Beatles in their heyday), the Fab Faux was founded in 1998 by Will Lee, bassist for the Late Show with David Letterman and an avid Beatles fan. Live, the band aim to provide as close as possible a reproduction of the Beatle’s setlists – with the addition of rare material never performed live! Together with a horns and string section, the Fab Faux provide an unparalleled Beatles experience.